Onion grass (Allium canadense) is a stubborn weed that spreads quickly through your grass by reseeding and reproducing under the soil. 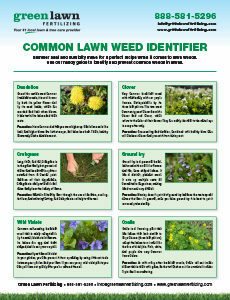 All lawns are vulnerable to an invasion of this undesirable plant. 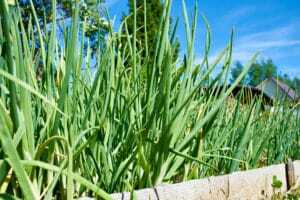 Luckily, there are a few methods that have proven effective against onion grass. Wild onion weeds are identifiable by their thin, waxy, spear-shaped leaves and white bulbs. 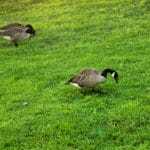 Because onion grass grows in clumps, a popular removal method is to use a weeding fork or trowel to deal with a smaller invasion. 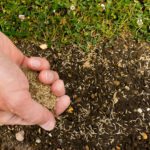 Be sure to completely remove the entire root system (cormlet) from the ground and discard it in the trash to avoid the seeds from becoming airborne and spreading. Treat onion grass with a non-selective herbicide or boiling water. Both of these liquids destroy any neighboring plants with which they come in contact, so using a flattened cardboard box is often a useful way to ensure a precise application. After hand-pulling the existing blades of onion grass, eradicate any seedlings about to grow by applying a plant killer like glyphosate to the affected area. This technique must be done properly and on a warm, sunny day. Follow the instructions on the package and keep in mind that, like herbicides, glyphosate can kill desirable plants as well as the onion grass you want to destroy. After three days, check to see if the onion grass is beginning to wither. If not, a reapplication might be necessary. Keep a constant watch on your lawn and take immediate action once you see the first signs of onion grass. Pulling the bulbs in small patches is a great place to start. Another tactic is to apply glyphosate twice a year as a preventative measure. Because onion grass is a perennial, these applications should be performed in late fall and again in late winter. Be persistent, vigilant, and patient; sometimes a combination of techniques can be necessary to effectively attack this stubborn weed. After applying glyphosate, keep children and pets off of your lawn and protect your eyes and skin from contact with this strong chemical. 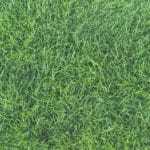 Contact Green Lawn Fertilizing at 888-581-5296 with additional questions about getting rid of onion grass. 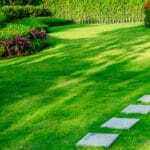 We’re here to advise you on weeds of all kinds and any other lawn-maintenance issues that might arise.